Public safety officials from Fairfax County, and the region, are reporting an increasing number of traffic accidents on area roadways. County officials ask residents to please stay home and stay off the roads. Roads are worse than they look, so if you don’t have to be on the roads, don’t! The National Weather Service reports that Fairfax County has received approximately 3-4 inches of snow so far this morning, with a transition to sleet later. Temperatures, meanwhile, will only rise into the low 30s today. The winter storm warning also remains in effect until 7 p.m. this evening. Fairfax County Government offices are closed today, Wednesday, Feb. 20, and employees are granted emergency administrative leave. Emergency service personnel should report as scheduled. The Fairfax County Circuit Court, General District Court and Juvenile and Domestic Relations District Court are closed. Fairfax County Public Schools are closed today, Wednesday, Feb. 20. School Age Child Care (SACC) centers are closed. For Department of Neighborhood and Community Services programs and events visit www.fairfaxcounty.gov/neighborhood-community-services or call 703-324-4600, TTY 711. Fairfax Connector bus service may be affected by the inclement weather. Check the Connector Web page at www.fairfaxcounty.gov/connector for the current operating status. For information about FASTRAN, call 703-222-9764, TTY 711, or online at www.fairfaxcounty.gov/neighborhood-community-services/transportation/fastran. Emergency information is available on Fairfax County’s website (www.fairfaxcounty.gov), Emergency Information Blog (www.fairfaxcounty.gov/emergency/blog), Facebook (www.facebook.com/fairfaxcounty), Twitter (www.twitter.com/fairfaxcounty), Fairfax Alerts at www.fairfaxcounty.gov/alerts or by calling the Fairfax County Emergency Information Hotline at 703-817-7771, TTY 711. 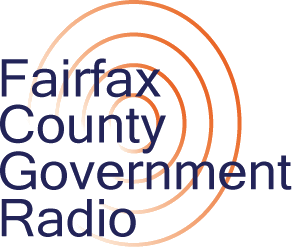 Fairfax County Government Radio (www.fairfaxcounty.gov/radio) will also announce county government closings. The National Weather Service has issued a Winter Storm Warning from 10 p.m. this evening, Tuesday, Feb. 19, until 10 p.m. tomorrow, Wednesday, Feb. 20. Snow will overspread the area late this evening, and mix with and change to sleet and freezing rain Wednesday morning. Heavy mixed precipitation is expected, with total snow accumulations of 4 to 6 inches and ice accumulations of one tenth to two tenths of an inch possible. Snow is expected to move into the county sometime between 3-5 a.m. We will see all snow at first with a transition into sleet after 1 p.m. After 4 p.m. it is expected to change to freezing rain with the sleet. Winds will be out of the east at 7-9 mph with temperatures hovering near 33 degrees. Wednesday evening will bring rain and/or some periods of freezing rain becoming all rain after 10 p.m.
Tonight: Snow, mainly after 4am. Low around 29. Calm wind becoming east around 5 mph after midnight. Chance of precipitation is 90%. New snow accumulation of less than one inch possible. Wednesday: Snow before 1pm, then sleet between 1pm and 4pm, then freezing rain and sleet after 4pm. High near 33. East wind 7 to 9 mph. Chance of precipitation is 100%. New ice accumulation of less than a 0.1 of an inch possible. New snow and sleet accumulation of 3 to 5 inches possible. Wednesday Night: Rain or freezing rain, becoming all rain after 10pm. Low around 33. Northeast wind around 6 mph becoming calm. Chance of precipitation is 100%. New ice accumulation of less than a 0.1 of an inch possible. Travel could be very difficult. The hazardous conditions could impact the morning or evening commute. When venturing outside, watch your first few steps taken on steps, sidewalks, and driveways, which could be icy and slippery, increasing your risk of a fall and injury. Plan now to avoid driving through the day Wednesday and after the storm until conditions have improved. This will allow VDOT crews time to plow and treat roads. VDOT reminds you to park your vehicles in driveways or on the same side of the street to allow plows room to pass. Winter Weather Advisory in Effect Beginning at 6 p.m. The National Weather Services has issued a Winter Weather Advisory in effect from 6 p.m. tonight, Thursday, Jan. 17, until 4 a.m. Friday, Jan. 18 for Fairfax County, the District of Columbia and central and Northern Maryland. A winter weather advisory for snow means periods of snow will cause primarily travel difficulties. Expect snow covered roads and limited visibilities, and use caution while driving. Snow will develop late this afternoon into this evening and continue into the overnight hours. While accumulations are forecast to be light, around an inch, any untreated road surfaces and sidewalks may turn icy as temperatures fall below freezing after sunset. According to the weather service, the greatest threat for impact from this light snowfall during the evening rush hour will be north and west of Interstate 95 from Baltimore to Fredericksburg and also near Interstate 66 in Northern Virginia. If you plan on commuting this evening, be aware of the potential for travel disruptions. Plan ahead by allowing for extra travel time and consider using public transportation and telework options. You should plan on slippery road conditions and sidewalks. Today: A chance of snow, mainly after 3pm. Cloudy, with a high near 35. Southeast wind 5 to 7 mph. Chance of precipitation is 40%. Tonight: Periods of snow before 4am, then a chance of snow and sleet. Patchy fog after 1am. Low around 32. Southeast wind 5 to 7 mph. Chance of precipitation is 90%. New snow and sleet accumulation of around an inch possible. Friday: A chance of sleet before 7am. Patchy fog before 10am. Otherwise, cloudy, then gradually becoming mostly sunny, with a high near 45. Light and variable wind becoming west 5 to 7 mph in the morning. Chance of precipitation is 30%. Friday Night: Mostly cloudy, with a low around 30. Northwest wind around 6 mph becoming calm. Saturday: Rain and snow after 10am, becoming all rain after 4pm. High near 40. Light northeast wind becoming east 5 to 9 mph in the morning. Chance of precipitation is 80%. Saturday Night: Rain. Low around 36. Chance of precipitation is 100%. Sunday: Rain, snow, and sleet likely before 1pm, then a chance of snow between 1pm and 4pm. Mostly cloudy, with a high near 39. Chance of precipitation is 60%. Sunday Night: Partly cloudy, with a low around 9. Martin Luther King Jr. Day: Sunny, with a high near 21. The National Weather Service reports that Fairfax County has already received approximately 4-5 inches of snow — totals are approximately one inch higher toward the western portions of the county — and that we could receive up to an additional 3-4 inches today. The winter storm warning continues until 6 p.m. A winter storm warning for snow means severe winter weather conditions will make travel very hazardous or impossible. If you absolutely must drive, stay as far behind plows as possible, and significantly reduce speeds. Plow trains — staggered plows spanning all lanes of the road — are actively working interstates and need room to safely work. And as a reminder, the Virginia Department of Transportation plows most roads in Fairfax County. Visit our snow guide to view VDOT updates, its snow plow tracker and more. Fairfax County Animal Shelter is closed today. Reston Community Center at Hunters Woods and Lake Anne will be closed today. Fairfax County Public Library is closed today. All Fairfax County Park Authority facilities are closed today. Fairfax Connector bus service is running a normal Sunday schedule, but is experiencing significant delays. If you are out shoveling your sidewalks or driveways, remember that heavy wet snow can put a strain on your heart. Only shovel if you are physically able to. Shovel small amounts with each shovel pass. And this video from VDOT explains how to properly shovel your driveway. The snow accumulations, combined with the after-effects of plowing roads may result in fire hydrants being partially, or completely, buried in snow. It is vital that firefighters be able to quickly access a hydrant in the event of a fire. Immediate access to a water supply helps to swiftly extinguish the fire and prevent loss of life and property. All residents, who are physically able to do so, are asked to keep the nearest fire hydrant accessible and free of snow and ice. Please clear a three-foot area around the hydrant and ensure there is a path to the roadway so the hydrant is visible and easily accessible. 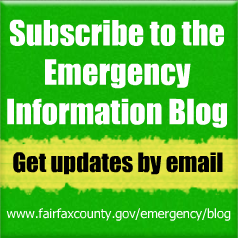 Stay connected and up-to-date with severe weather b signing up for Fairfax Alerts. You’ll get the information you want via the devices you identify. Sign up at www.fairfaxcounty.gov/alerts.